October is breast cancer awareness month and here in the United States 1 in 8 women will experience invasive breast cancer in her lifetime. To support the awareness campaign I've made this Pink You've Got This Card using the You've Got This stamp set by Stampin' Up!. Last year I made a very similar card (click here) using purple for domestic violence awareness month, which is also in October. Each of these awareness campaigns are very important to the physical and mental health of countless women. Early detection and education can help in both accounts. Knowledge is power! Very beautiful card, great sentiment! Thank you for linking up at Sunny Day Crafting! Beautiful card, thanks for you participating The Corrosive Challenge B. 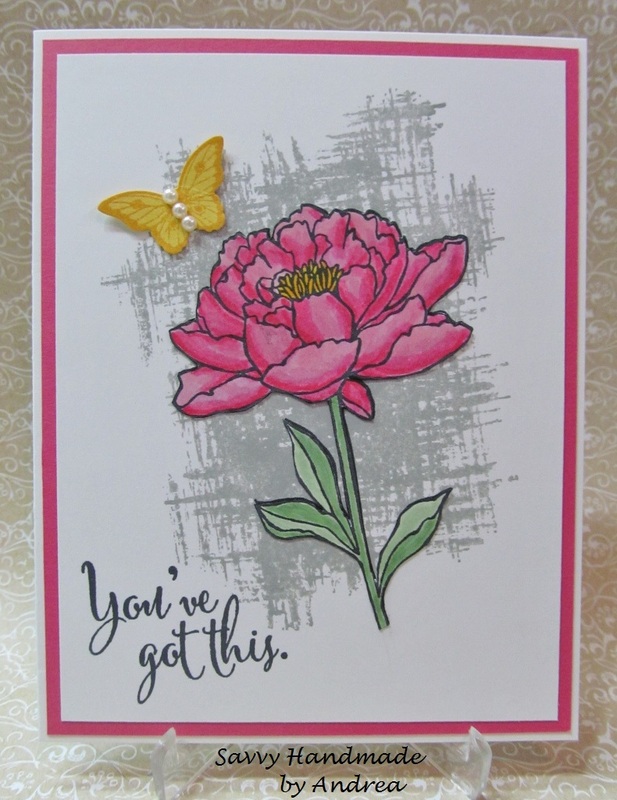 Such a pretty pink rose and the "You've got this" sentiment is classic.